The meeting in St Mary’s Hall will address the problems regarding the significant number of school children in South Inishowen who can’t avail of school transport. 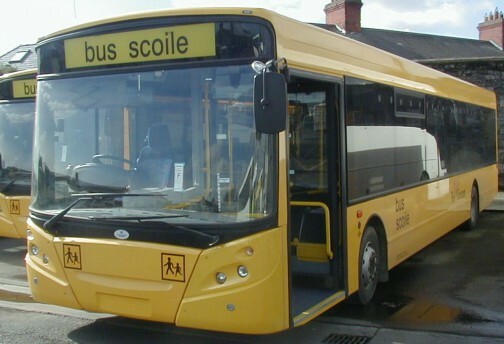 Sinn Féin County Councillor Jack Murray, who has arranged the meeting with his party colleague Senator Pádraig Mac Lochlainn, said: “In recent times I have been contacted by numerous families from Muff, Bridgend, Tooban and Burnfoot whose children are been unable to get a school bus ticket. “Bus Éireann has confirmed that there are at least 20 children affected in these areas and that there are no additional seats available. “Senator Mac Lochlainn and I have been in regular contact with Bus Éireann in order to put forward the case for an extra bus but, to date, this has not been agreed. “Therefore we are calling this public meeting for parents to put forward a united voice to demand their children’s right to school transport. “Many of these families live more than ten miles away from their school. It is simply not feasible for working parents to drive that route twice a day. This puts their children’s access to school in jeopardy and that is simply not acceptable.